Charles “Chuck” Edward Williams, 78, of Kansas City, MO went to be with the Lord September 5, 2016, with his family and pastor by his side. Chuck Williams was born to the late Hubert and Grace Williams September 7, 1937 in Sweetwater, TN. Chuck married the love of his life, Ruth Ellen Bryant Williams, in 1957 and she survives of the home. He is also survived by his son, Tim Williams (Becky) of Olathe, KS, brothers James Williams from Athens, TN, and Ronald Williams (Paula) of Rantoul, KS, and sister Frances Williams of Knoxville, TN, as well as granddaughter Tara Arreguin (Mike) of Shawnee, KS and grandsons, Travis Williams (Amber) of Indian Land, SC, and Aiden Scholz of Olathe, KS, and 6 great-grandchildren. 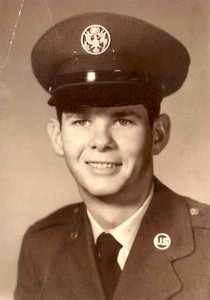 Chuck served in the United States Air Force for 23 years, retiring as a Senior Master Sergeant. After that, he farmed for many years and later became a Real Estate Agent. He loved to garden and spent most of his time tending to his flowers and plants. He also enjoyed fishing and investing in the stock market, as well as spending time with his family. He was a member of NW Bible Church, Olathe Masonic Lodge #19, Order of Eastern Star and Abdallah Shrine Temple. The visitation will be held from 6:00 – 8:00pm on Friday, September 9, 2016, at Penwell Gabel Funeral Home in Olathe, KS. The funeral service will be held at 10:00am on Saturday at Northwest Bible Church, 6520 NW 64th St, Kansas City, MO 64151. Burial will take place at Olathe Memorial Cemetery. His friendly smile will be sorely missed by all who knew him, as well as his family. Memorial contributions may be made to the Shriners Hospitals for Children.